INTJ personality people form just 2% of the population, while INTJ women are especially rare, forming just 0.8% of the population. INTJs are well-known for their personality traits such as logic, rational thinking and planning and are often referred as architects or masterminds. 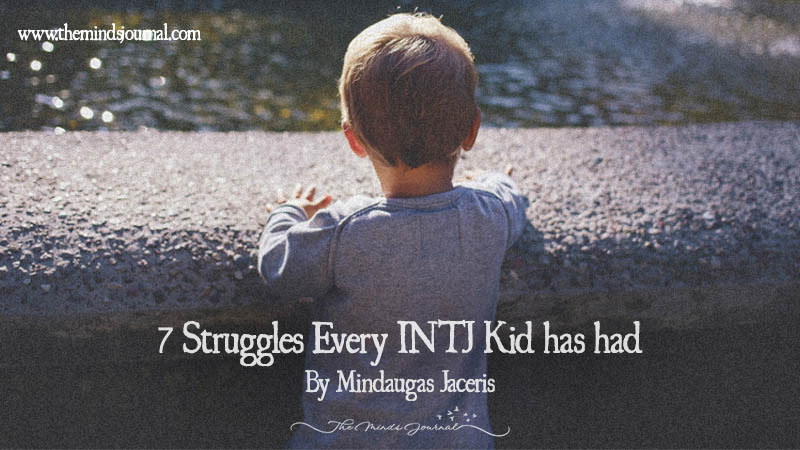 However, being rare causes many difficulties, especially in INTJ childhood years. Playing with other kids didn’t look so entertaining to you and you rather stayed home and read all kinds of books. However, your parents probably had different opinion about what is better for you and often told stories about their childhood games and how fun it was. One more reason for you to stay at home was being annoyed by bright lights and loud noises – and avoiding Sun as much as possible was kind of difficult task for such a young kid. But somehow, you managed to survive. You always felt that you were somehow different from your family. You didn’t talk much to your parents and spent most of your childhood alone in your room. They probably tried converting you into an extrovert but after seeing your resistance, finally gave up. Your inner mind was much more interesting than outside world, so all you did at family gatherings was staring at the wall or other random point of interest and looked really detached. Your family members probably took you as a weirdo for doing so. It’s not like you didn’t tried to connect with your family. In fact, you probably tried many times. However, it seemed like your family didn’t even try to understand the way you think and how different you are. But deep in your heart you actually enjoyed being different no matter what. There were times when you knew you’re 100% right about something, but your parents or school teachers tried telling you otherwise. No one could force you to change your mind or do something you didn’t want to. In your mind, you were like a savage and fought intellectual battles by defending your ideas. You struggled to fit in and were a loner at school. It seemed like you mentally developed much faster than other kids your age and didn’t had anyone, who could understand your complex ideas. You may were bullied or teased for being different. You were rational kid from the early childhood, however you didn’t mind to show your emotions too. However, at one point you started thinking that showing emotions is unnecessary. Then you simply stopped doing so and eventually forgot how to do it. Due to the lack of showing emotions and always spending time alone, you later understood that you developed socialization issues that caused trouble forming any relationships at all. School was quite boring for you, but you were handling it quite well without even trying. You already had a plan for at least few upcoming years and invested heavily in knowledge of your field of interested. You were a perfectionist kid and had really high standards for yourself. However, not everything went as planned and you emotionally suffered from few failures. Anyway, you learned from your mistakes and kept improving.